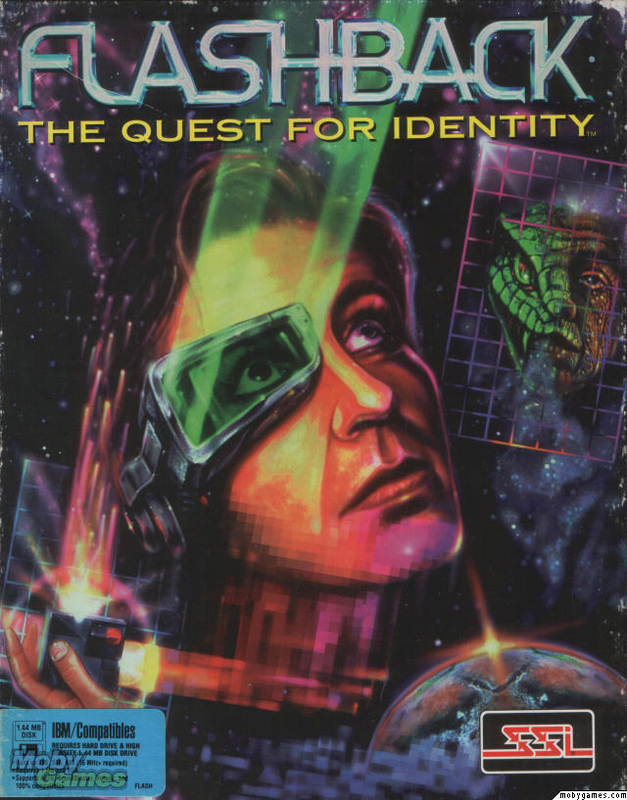 Flashback: The Quest for Identity is a 1992 science fiction cinematic platform game developed by Delphine Software of France and published by U.S. Gold in United States and Europe, and Sunsoft in Japan. The game was directed, written/designed and partially programmed by Paul Cuisset, who had previously created the adventure game Future Wars. Flashback was initially released for the Amiga in 1992, then ported to MS-DOS, Acorn Archimedes, Sega Mega Drive/Genesis and Super Nintendo in 1993. The Amiga version would be the first released). CD-ROM versions of Flashback for the Mega-CD, 3DO, CD-i, MS-DOS, Apple Macintosh and the FM Towns were released during 1994 and 1995, together with a cartridge version for the Atari Jaguar in 1995. Originally advertised as a "CD-ROM game on a cartridge", the game features fully hand-drawn backdrops and all animation is rotoscoped, giving movements an unusual fluidity, similar to that of the earlier Prince of Persia. The capture technique of Flashback was invented independently of Prince of Persia, and used a more complicated method of first tracing video images onto transparencies. Conrad also carries a pistol with unlimited ammunition, a force shield (which absorbs a certain number of shots before needing recharging), and a portable force field (which can act as a barrier to deflect enemies' laser shots). As Conrad progresses through the game's seven levels, he is increasingly presented with spatial puzzles, requiring the player to discover how to guide him toward his destination. Late in the game, Conrad receives a teleportation device, and is able to progress by throwing the device into areas that he would otherwise be unable to reach.